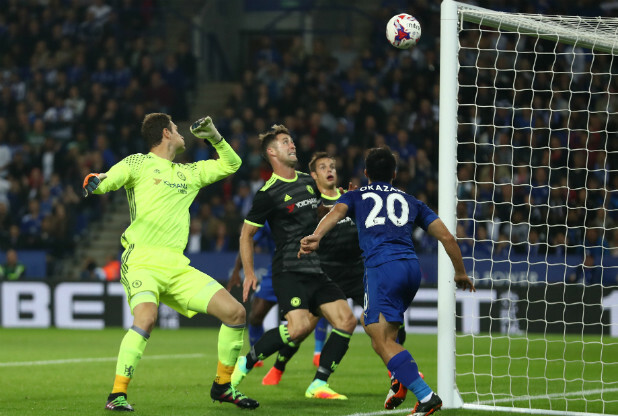 Leicester City 2-4 Chelsea (AET) – Dominant Chelsea win through despite more defensive concerns. 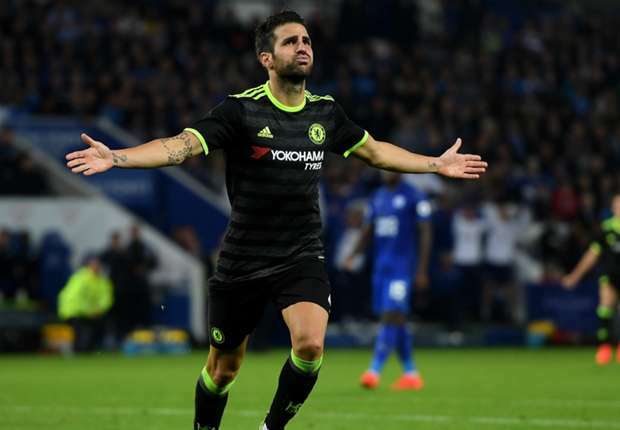 Chelsea are through to the next round of the League Cup after a 2-4 victory over Leicester City with goals from Gary Cahill, Cesar Azpilicueta and two goals from Cesc Fabregas in extra time. Despite our dominance, there remain serious questions of our defensive capabilities as we now look to Arsenal on Saturday. 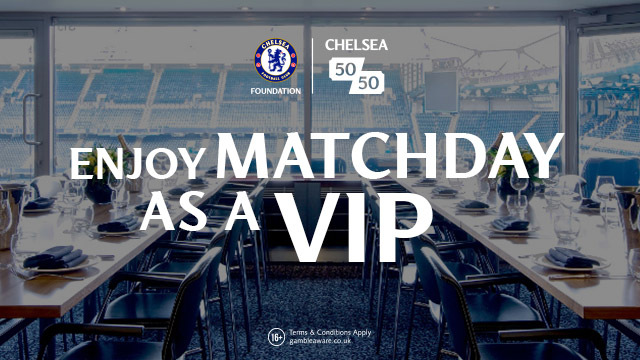 Many people who had not witnessed the events at the King Power Stadium would pick up their morning paper, look online before work and see that the statistics point to Chelsea as the dominant team and well deserved winners, however for those of us who watched the game, we all know that Chelsea at one stage were in very serious trouble. Chelsea had started the game well and dominating possession of the ball. As we had seen against Liverpool last Friday, if there was no genuine option out wide, through the middle or up front to pass to, we were more than happy to stroke the ball from left to right across our back four. On the odd occasion that we did manage to break forward, Michy Batshuayi in for Diego Costa was finding life difficult up against Wes Morgan and his defensive counterpart. But for a Pedro goal being ruled out for being offside after a searching ball played to him from David Luiz, there was nothing to much to write home about until Chelsea’s problem this term, suspect and lapse defending, came to the fore once again and again it had cost us not once but twice. Chelsea give the ball away on our left hand side and Leicester pounce onto the ball, drive down the right hand side and cross the ball into the box. The ball is headed downwards and away from goal, beyond the far post as Gary Cahill and Asmir Begovic cannot sort out who is in control of the situation. As they both hesitate, Okazaki moves in between Alonso and Begovic and heads the ball over the Bosnian Goalkeeper and just over the line before it’s cleared to make it 1-0 Leicester and shocking defending from the Blues. Shortly afterwards more awful Chelsea defending is punished by the same player. Again confusion and hesitation at the back from Chelsea and Okazaki is in on goal to the right hand side. Begovic comes out to try and close the gap but Okazaki kicks the ball into the ground up and over Begovic into the empty net to make it 2-0 to the home side. Being honest, up to that point Chelsea were not in any trouble at all really which is what is the most frustrating point I can make. Chelsea had dominated the possession of the ball and had forced Leicester backwards time and time again through the likes of Pedro and the impressive Victor Moses out wide. Once again however, all our good work was gone within five crazy minutes. Chelsea were now faced with a mountain to climb and it was important that we manage to get back on top in the game and had a chance through Batshuayi from a Pedro cross from our left hand side but the Belgian rushed the opportunity and headed wide. The Belgian Striker looked hungry and worked his socks off in the game by making runs off the ball and closing down defenders. He was unlucky not to get back on the score sheet in the second half after some good link up play with Diego Costa led to him finding space to unleash a left foot strike heading into the top corner but for a world class save to deny him. Back to the end of the first half and what proved to be a pivotal moment in the game. Some good Chelsea possession leads to a corner. As the ball is floated to the back post, Gary Cahill has lost Wes Morgan his marker, and he heads the ball towards goal from ten yards. The defender on the line tries to clear the ball and it deflects off of David Luiz and goes into the net to make it 1-2. Replays later confirm that the first header crossed the line and the goal is Gary Cahill’s. Chelsea have made the breakthrough as we reach half time. It was important for Chelsea to start well in the second half and carry forward their momentum that the goal had given to us. After just four minutes we were level thanks to a sensational volley from an unlikely source in Cesar Azpilicueta. Chelsea possession down our right hand side and a cross is played into the box and half cleared. As the defender heads the ball high into the air and away from danger, Azpi has his eyes firmly placed on the ball and connects with the outside of his right foot, on the volley, which swerves it’s way into the top corner of the net giving the Goalkeeper no chance making it 2-2. It was just what we needed and our tails were up now. However, despite all of our possession, Chelsea were still suspect at the back which was exposed on a couple of occasions. Luckily enough it never cost us any further goals from the home side but surely Antonio Conte must be shocked at what he has witnessed tonight and has now realised that he has a job on his hands to sort things out in our defence. Without John Terry there, talking to people and organising, we look a shambles and that’s what is the biggest concern. Ruben Loftus-Cheek had a night to forget as he struggled to get into the game. Being played pushed up as a number ten he was found wanting with a real lack of involvement. His game is to play deeper, looking to impose himself from that position going forward and not with his back towards goal. It came as no surprise that he was the first of Conte’s tactical changes as Diego Costa replaced him and joined Batshuayi up front. Our Spanish striker is a different animal this year and had an immediate impact in the game. Leicester’s back four no had a different problem to face with two playing together and because of who has just entered the game. Within minutes of his entrance, David Luiz played in Costa through on goal. As the Goalkeeper came off his line to try and win the ball, Costa got to it first and slotted the ball under him and just wide. On two other occasions Costa was played through and into the right hand side of the penalty box after making a fabulous run off the ball. However, both instances came to nothing as the Goalkeeper denied him. Nathaniel Chalobah finally made his long-awaited Chelsea debut as he replaced Batshuayi. 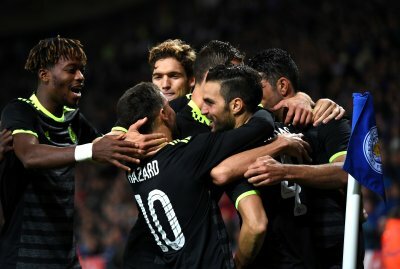 As a result, Cesc Fabregas was pushed forward into the number ten role and that proved to be vital in the outcome of the game. Pedro was also withdrawn for Eden Hazard with extra time now on the horizon. Just before the end of normal time, Leicester were down to ten men after Wasilewski was sent off for two yellow card offences. This was now Chelsea’s to win; we just needed that moment of inspiration to do so. Extra time started and with a extra man we totally dominated the game. 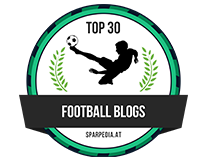 Chelsea continued to stroke the ball around from one side to the other with a view of making the pitch bigger, and to tire out our opponents who to their credit, never stopped working hard. I talked of a moment of inspiration and it came in the form of Eden Hazard. He picks the ball up out on our left hand side and spots that Diego Costa has made a run to the outside of the box so plays the ball into him. Costa takes a touch, spots Hazard has continued his run across the edge of the box left of centre and plays the ball with his left foot into his path. Hazard takes a touch away from the defender and just as you think he will strike the ball goal wards with his right foot into the far corner, he spots Cesc Fabregas making a run towards him off of the ball so Hazard stops the ball dead, into the stride of Fabregas who strikes the ball into the corner to make it 3-2 Chelsea. It was a marvellous move and a moment of magic from Hazard. Minutes later the game was over as Fabregas scored Chelsea’s fourth, and his second goal of the game. A Chelsea corner is half cleared and it comes back out to Eden Hazard on our right hand side. He drives to the byline and drills the ball hard and low towards the near post as Diego Costa has made a run. 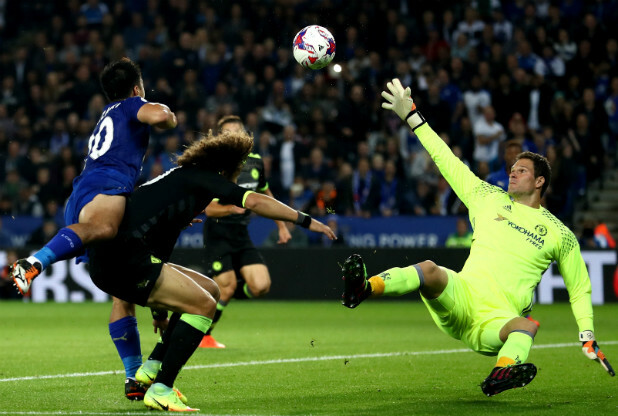 The ball is deflected off of a defender into the air as Costa makes a nuisance of himself between two Leicester players and the goalkeeper. The ball is flicked away from goal by Danny Drinkwater and right into the path of Fabregas who takes a touch to control the ball and then blasts the ball high into the net from ten yards to make it 4-2. From that moment the game is over as there is no coming back for Leicester. Two goals down and a man down, everyone literally goes through the motions as if this were a training game. Leicester sit deep so as not to concede anymore goals and Chelsea take the pace out of the game by knocking the ball about until the final whistle goes. There are plenty of positives from this one going forward but questions will remain over our defensive frailties especially as we head for North London and Arsenal on Saturday evening. Antonio Conte and his staff need to work harder than ever to sort things out as we cannot afford to give stupid, sloppy goals away anymore. Cesc Fabregas has done everything asked of him by the Manager as surely has put himself into contention to replace Oscar against Arsenal? Playing as a number ten behind Costa is the position he can make his own under Conte. His two goals are a massive confidence boost for the player and he will look to carry that into Saturday. The most important part to report here despite all the drama is that Chelsea are through to the fourth round which is what we came here to achieve. Yes there were negatives that we take from this but there are plenty of positives.